Tonight we are going to review a wine that is both, rare and unique, a wine we were so eager to try for such a long time, but we’ve been patiently waiting for the right time – P.V. 2010 from Crama Bauer. This is a single varietal petit verdot wine – a very old and rare Bordeaux variety, which is rarely produced as a single-varietal wine. Petit verdot was traditionally reserved as a minor blending grape in the world famous Bordeaux wine blend, however, lately winemakers have realized that it can make intensely fruity-yet-floral wines with unmatchable levels of tannins, but enough theory, let’s get straight to the tasting and find out just how good this wine really is. Deep and noble crimson color, with some indigo hues towards the rim of the glass. The nose is strong, filled mostly with black fruits: ripe sour cherry, dried cherry, black mulberry, blackcurrant, black cherry, roasted oakwood, cherry tree wood and cherry seeds. An instant later the nose is filled with notes of black tea, hazelnut, tobacco and some nuanced hints of almonds and black pepper. The wine is extra-dry, with strong alcohol level, moderate acidity and rough tannin. It feels bold, velvety and complex at the same time, with overwhelming tannins and sharp acidity. This is a muscular, robust and oaky wine, as it tastes seedy, fruity and angular, with some nuanced charred notes on the palate. The wine has a fair overall balance between fruit and barrique, with the main accent on the woody side. It has a medium-plus finish and a balanced, bitter-rough aftertaste. 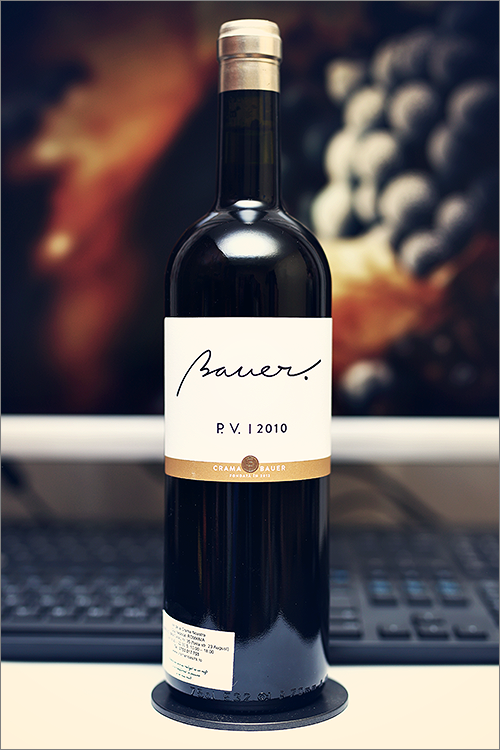 This is definitely a great Wine of Romania and the overall rating says the same, with 90.9 points scored it is right there, among the best wines we’ve tasted so far. Please click on the chart icon on the left in order to get to the wine rating page, where you can find all the wines we’ve tasted to date. Conclusion: this is a wine that is definitely over its prime form – austere and rough, but velvety and complex at the same time – a wine that can still resist 5 to 7 more years of bottle ageing, because a fully mature wine can offer an explosion of highly nuanced scents, beautifully co-mingled and virtually impossible to name. It is pure pleasure, if the conditions are in place, and, to be honest, this is a big ‘if’. That’s why we always recommend to drink a wine a year too soon than a day too late. Pair this wine exclusively with strong scented dishes, like for example a grilled new york strip steak or a spicy barbequed beef, or you can always go classy with some french beef stew. Noroc!